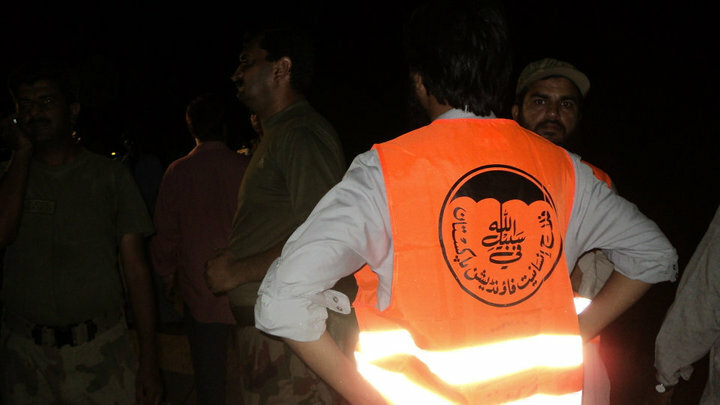 Is Jamaat-ud-Dawa Army’s Disaster Relief Wing? Earlier this year, Interior Minister Chaudhry Nisar warned that “no Non-Government Organisation (NGO) working against the country’s national interest will be allowed to continue its work in Pakistan”. According to the Minister, “government cannot compromise on national interest”. This sounds very good, but it is interesting to note certain NGOs that have been allowed to continue working and ask what does this mean about how we define “national interest”. This is of particular interest when we observe how Jamaat-ud-Dawa is not only allowed to operate, but works hand in hand with Army. This has been an interesting year for the outspoken Jihadi organisation. In January, government sources were leaking that the group was going to be banned, even though JuD was supposedly already banned years ago. Even that “ban” only seemed to exist in press releases as the group continued its activities as if nothing happened. 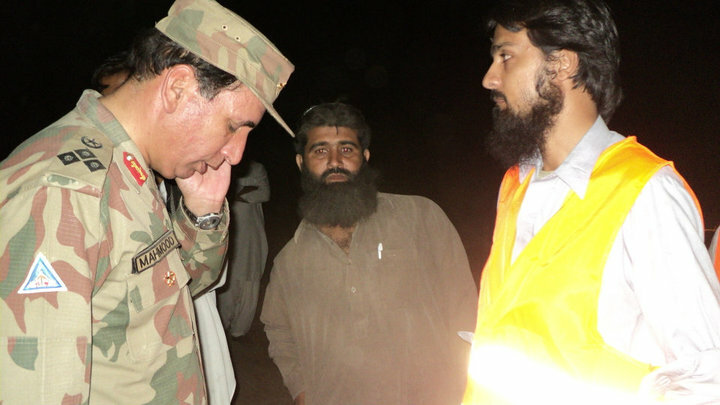 JuD was not just working openly, the group was working hand in hand with Army in flood affected areas the next year. Deja vu is happening once again as government has announced a crack down on the group after meeting between PM Nawaz Sharif and American President Barack Obama. The Prime Minister apprised the President about Pakistan’s resolve to take effective action against United Nations-designated terrorist individuals and entities, including Lashkar-e-Tayyiba and its affiliates, as per its international commitments and obligations under UN Security Council resolutions and the Financial Action Task Force. The government imposes few restrictions on JuD, Rauf said. “Everyone is co-ordinating and collaborating,” he said, referring to his teams, the government and military. In press releases and public statements, government can’t seem to make up its mind if JuD is a banned militant group or a charity. In reality, though, government, military, and JuD all work hand in hand. This entry was posted in Blogs and tagged Army, earthquake, Falah-e-Insaniat Foundation, flood relief, Hafiz Saeed, Jamaat-ud-Dawa, JuD, NGO by Omar Derawal. Bookmark the permalink.